When I was first learning how to cook, circa 1990’s, the family went on a road trip vacation to San Francisco. While there, we went to a non-descript restaurant called Thanh Long, where their specialty is Roast Crab. 1. Place crab in a pot and fill with water just enough to cover the crab. Add 1 tablespoon salt to the water and boil for 5 minutes. Remove the crab from the pot. Set aside. 2. Using a wok, heat up the oil and sauté garlic on low flame. Do not allow the garlic to turn brown. Add salt and pepper. 3. Add the whole crab and stir in the sauce to completely coat the crab. Serve with rice. a. Follow step 1 above. b. Wait for the crab to cool. Remove the shell and the gills. 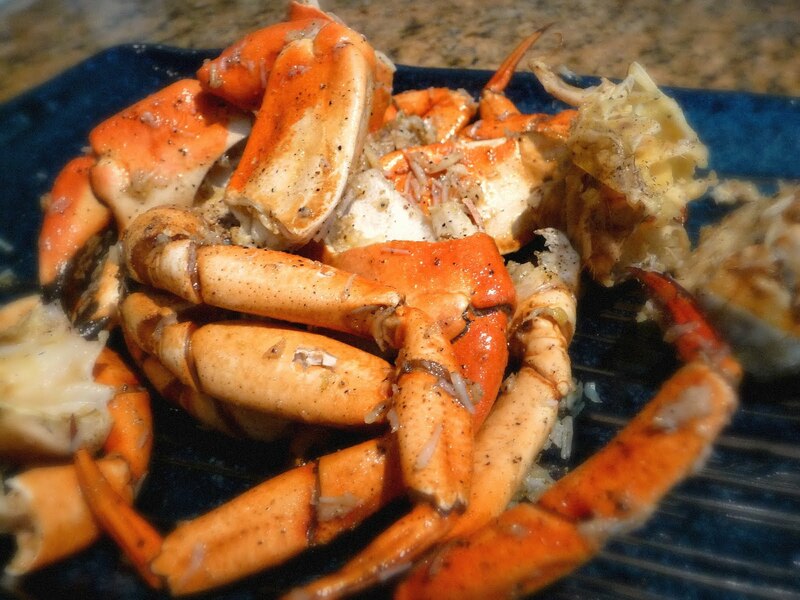 Cut up the crab into quarters and crack the legs using a hammer. c. Follow steps 2 & 3 above. I love crab, this look so yummy!